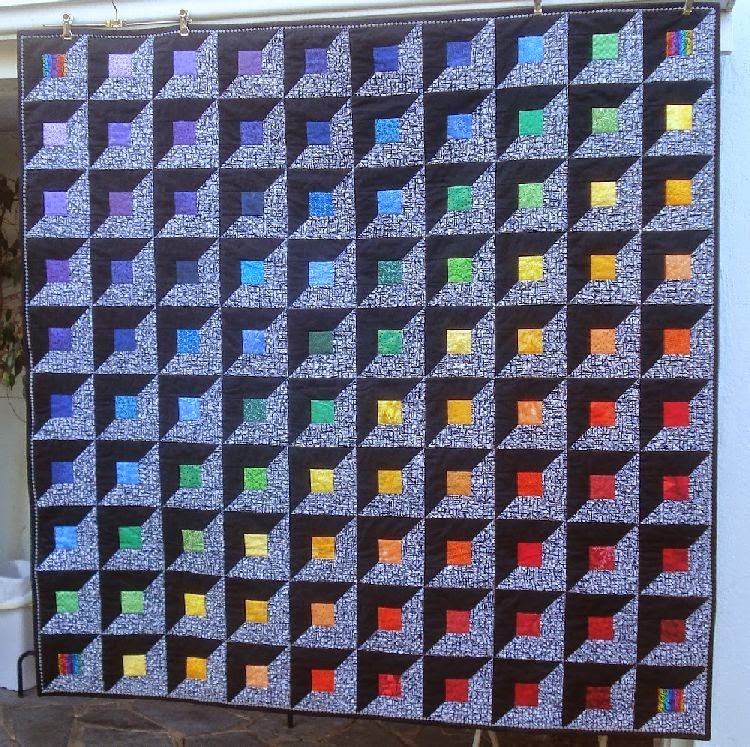 The Facebook group, "A Quilt Block a Day" has more than 3000 followers. Each season, a new "quilt block a day" tutorial is posted here on 52 Quilts. This season, we have a guest tutor, Sue, of Sue's Quilty Bits and Bobs. Sue submitted this fun quilt for the March 1 UFO Parade. I fell in love with it! When Sue said she was writing a tutorial, I immediately emailed her and asked if we could use the pattern for "A Quilt Block a Day" (AQBaD). She graciously agreed, so let's get started! Isn't the 3D effect great? Click here to go to Sue's tutorial. Of course, you don't have to make your Rainbow Lattice in the same rainbow colors. After all, you are the boss of your quilting! 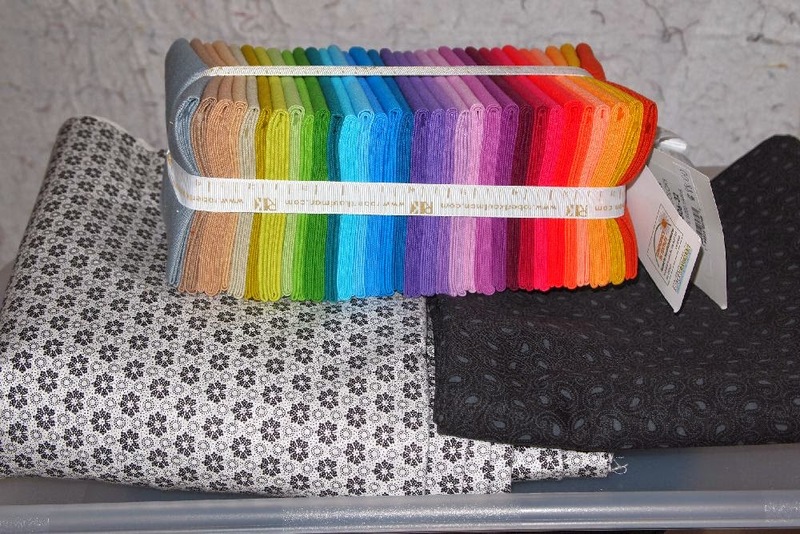 I'm using the stack of 2014 new Kona Cotton colors from Robert Kaufman for my colored squares. I scored this great black and white print on the sale table at Ruth's Stitchery (40% off because I finished the bolt). I'm really excited to start my new AQBaD -- but first, a weekend retreat in Cheyenne, Wyoming. I'll try to post some photos, but if I can't, they'll be on Instagram (where my username is 52quilts). Hope everyone enjoys making this one and look forward to seeing what everyone comes up with! Wow, I love that quilt! I may grab a little yardage and make one of my own. Yeah!!!! Congrats, Sue on such a great quilt and design. I had already decided to make the quilt as a gift, and had started pulling fabrics for it. Now I have one more reason to finish it!